Recently I got the chance to go along and review Barry Pollock Hairdressers in Glasgow City Center which was a lovely wee treat if I do say so myself. I love hairdressers/salons because you can come out feeling like a superstar, and who doesn't want to have their confidence boosted by a lovely hair cut, new nails or even just an up do. Before getting there I had to Google map the place because I had no idea where I was going but as soon as I seen the location I was pleasantly surprised as I didn't have far to walk from the bus station and it's really central, right next to Queen Street train station! The location is just brilliant if I'm honest, anything that's right in the city centre is always a win, no unnecessary travelling, it's close by so if I book in any time I can just go shopping before hand or after since I'm already near my favourite shops! Barry Pollock is situated down stairs and at first you don't realise just how big it's going to be, walking through the door I was shocked at how much space there was, plenty of chairs and a lovely friendly atmosphere. I was greeted by Barry himself who took my coat & showed me to my chair, before settling in though I snapped a few pictures of the space then met the lovely Chelsea that was going to be doing my hair. Her bubbly personality and chatty conversation really put me at ease, there's nothing worse than a hairdresser who makes you feel intimidated and believe me, I've had a few! I didn't even notice the time flying by as we talked and I told her about my trips to Canada and going away with my friends. The conversation was so easy, didn't feel forced at all which I like. 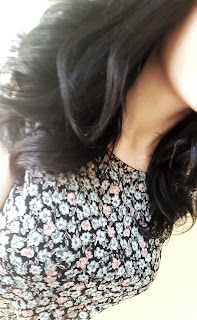 As I was getting a blow dry hairstyle I chose a curly/wavy one as I was attending The Body Shop VIP Event later that night and wanted to feel super good. I usually feel much better about my hair when it's curly as it really needs cut at the moment so choosing this style was perfect. Looking at my hair in the mirror once Chelsea was finished, I felt like a princess because I had long curls.... LONG ONES! When ever I do my own hair I loose around 3" in length and it kills me a little inside. 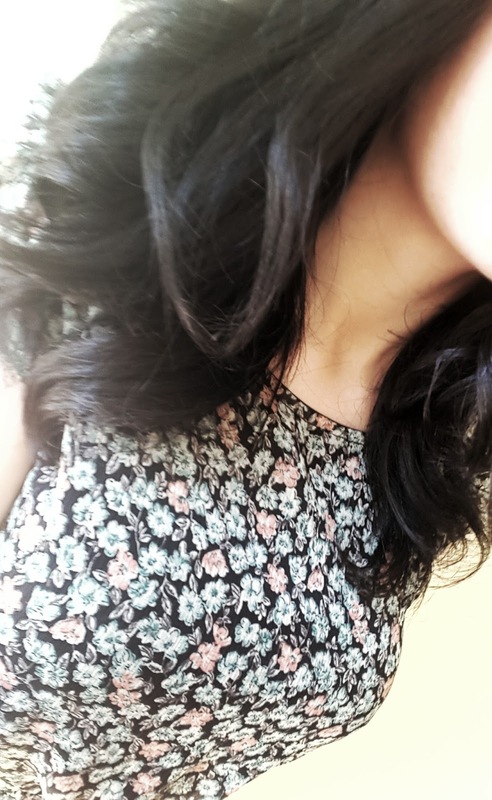 so to see my hair still long and flowing with beautiful curls in it, I was happy, BEYOND HAPPY. I could have left right then and felt Absolutely amazing. I didn't manage to get a great picture of my hair as you can see by the one I uploaded but it was a manic day and I was super busy. By the time I attended the event at night my hair was nice and wavy, just what I wanted! It was just so nice to have my hair done in such a lovely environment and feel great about it. After getting my hair done it was time for some shellac on my nails! 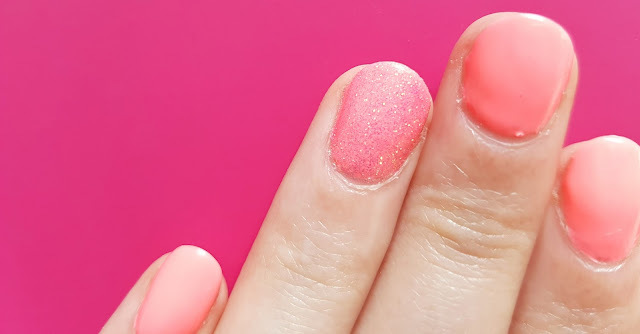 Now I must admit, I have never actually had it done before, I am so used to getting acrylics or gels done so I wasn't sure what to expect from it, all I knew was that it's long lasting unlike normal nail polish. 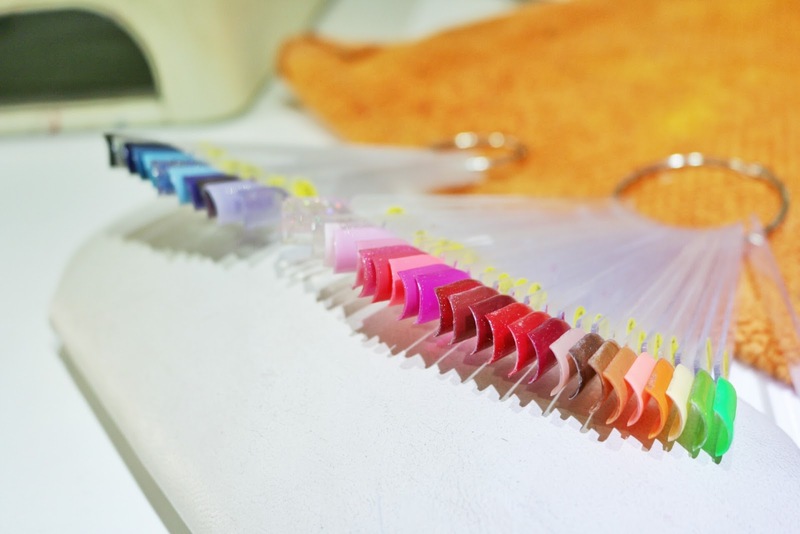 (Perfect for me as I have a huge problem with my nail polish chipping) Sitting down in the chair looking at the nail colour swatches I was overwhelmed with choice, I didn't think about a colour before hand so I really had no clue of what to pick. 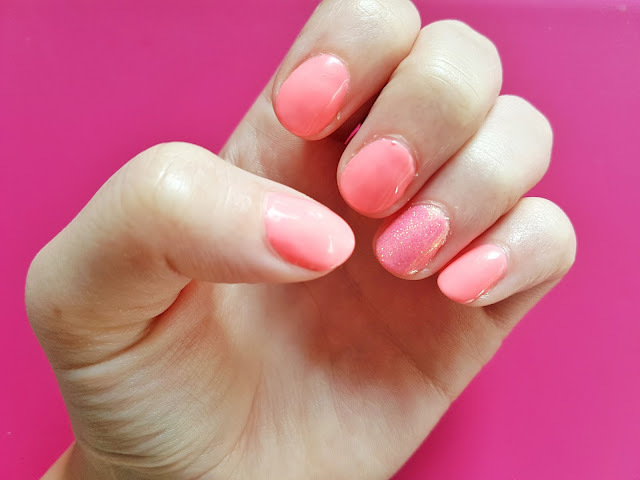 Rebecca, the lady who was going to be doing my nails sat down at the table with me and we went though the colours; Eventually I settled on a nice pink/peach colour and some glitter on my ring finger nail as this colour would really go with the dress I was going to wear to the event later that night, plus it added a nice bit of colour into my every day life. 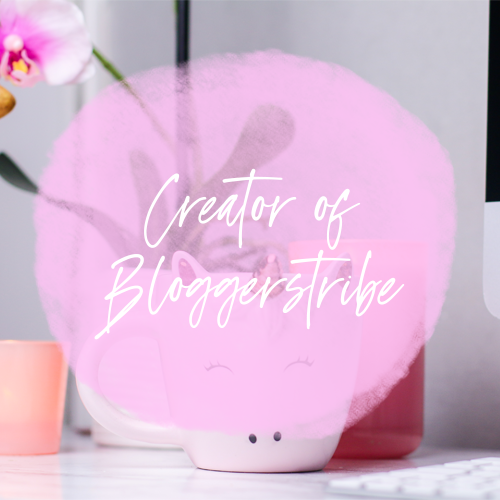 A week on, as I am writing this post my nails still haven't chipped and I couldn't be happier! This is exactly what I have needed in my life. The whole process was fairly quick & Rebecca was so lovely. We chatted away about holiday's etc... and before I knew it my nails were a beautiful colour and ready to go. The experience of getting my nails done was lovely, very relaxing, friendly and I honestly had no complaints. All in all my experience was really great. The friendly personalities, the lovely service and attention to detail was very refreshing! The fact that this establishment is situated right in the heart of the city is also a bonus. I had such a great time at Barry Pollock Hairdressers that I have booked in to get my hair cut! It's just the place I am looking for and I know it's worth it because I am willing to travel for it and not go to the ones I live nearer to. 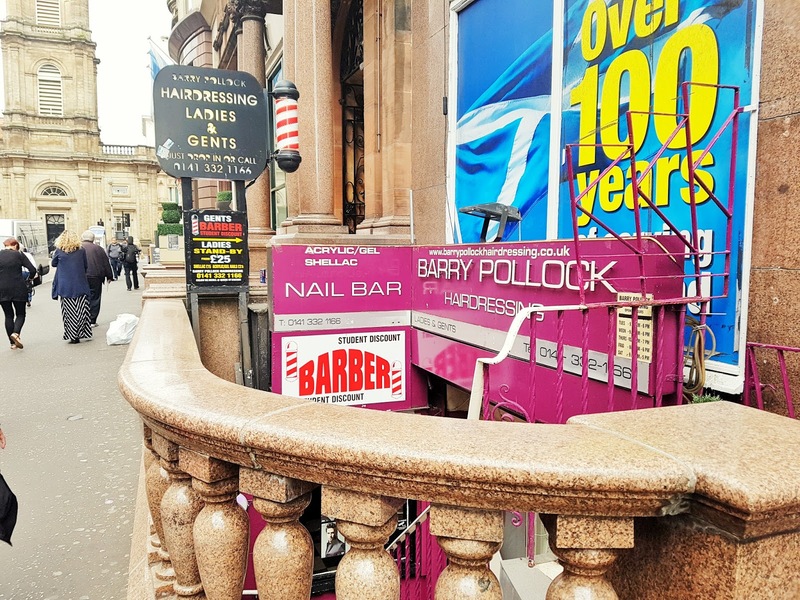 "Barry Pollock Hairdressing is an independent salon, found in the heart of Glasgow. 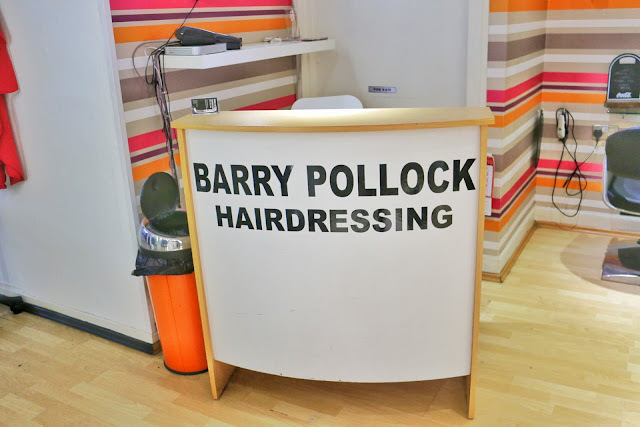 Opened in 2007, Barry and the team are well renowned for their cutting edge styling team with years of passion and experience behind them. We are professional and dedicated, ready to provide a custom experience for unisex clientele, offering traditional and contemporary techniques for all cuts, colours and styles." *I received these treatments in exchange for my honest review. It really is, I loved it and the whole experience was great! Both your blow dry and nails look fab! Looks like a fab salon.. The colour of your nails is gorgeous! 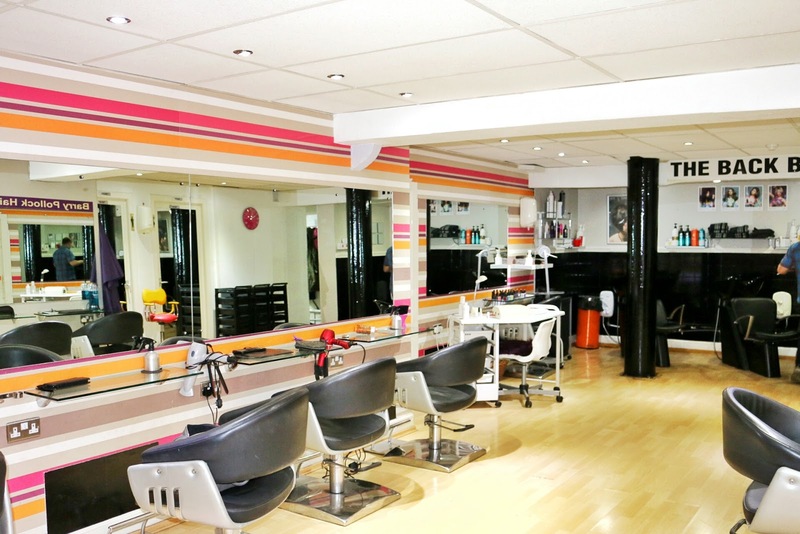 I love the inside of the hairdressers too, well done to their interior designers! Thanks Lauren! If you're ever in Glasgow, you should check them out, really great! I think you should as well ;) it's a lovely little treat and it's great because it doesn't chip easy nor is it fake nails. Perfect for a little pop of colour. Thanks so much! If you ever do visit Glasgow, you should check them out! The colour of the Polish is really nice isn't it? I'm in love! The salon is such a nice colour too. Thanks!!! I know, it's definetly worth going to, so glad I booked in for my hair as well. Thanks sweetie! I loved it. You really don't expect it to look as big as it is, that's for sure! I was pleasantly surprised by it. Really nice place with lovely people. I love going to the salon and being pampered! This looks like such a lovely salon. It's a really nice place for sure! Sounds like such a lovely time! 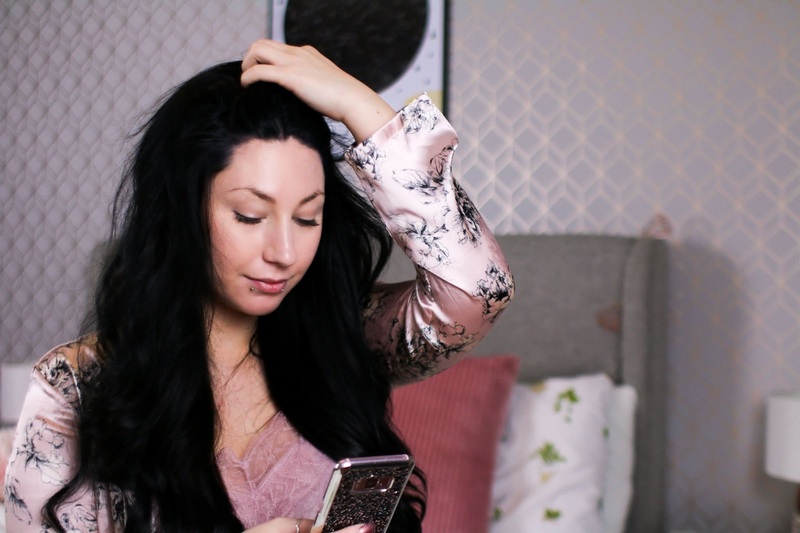 I miss having long hair and going and getting it styled at the hairdressers, I love getting my nails done as well but I never know what colour to get, the one you picked is lovely! That's always my problem with my nails, I'm really indecisive haha but I loved the colour I chose. Wow Jordanne it looks like you had a lovely time and who doesn't love being pampered? I think every girl can agree that it's one of the best feelings to be able to get your hair done at the salon (as long as it comes out good!) the salon looks beautiful and if I'm ever in Glasgow I'll have to stop by this place! I hate how some salons are so small it can be uncomfortable if there's only like 2 places where people wait and then your practically on someone's lap! Lovely post! Thanks Ashley!!! 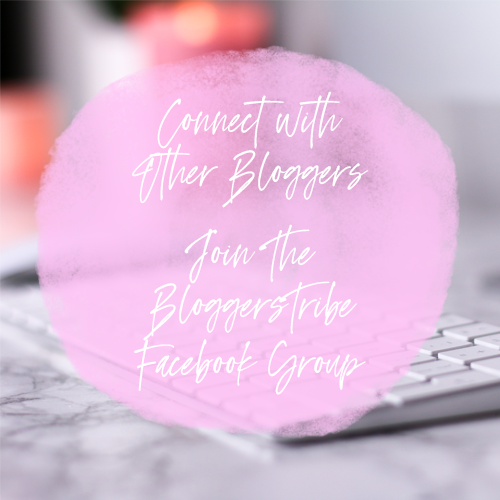 I really did have a wonderful experience, can't recommend it enough! Super funky salon, fab hair, gorgeous nails - what a wee treat indeed! I was so excited to read this! I shared the opportunity around as I've been going to Barry's for almost 3 years and I love it! I'm so glad to read that you had an amazing time and that more people are curious to go and visit! Wow I love your nails. It looks amazing. What a fab opportunity to get both your hair and nails done. I know, it was so lovely! I really enjoyed it. I love a good pamper every now and again! I've never had shallac nails (or acrylic, or any kind of fake nails for that matter) done before, definitely might start looking into it!